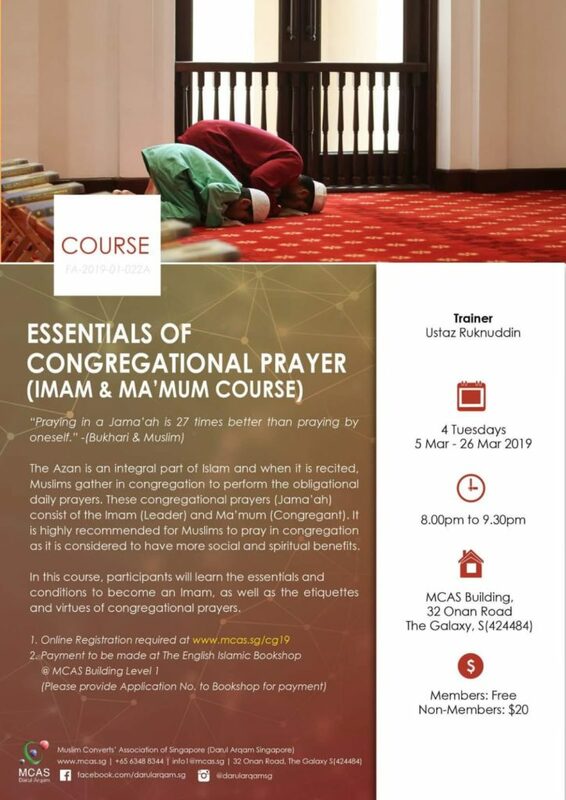 This course prepares participants to become an Imam of prayer i.e. from the calling of Azan until the recitations of closing dua (supplications) after prayer. It covers the essential theoretical knowledge such as the conditions to be an Imam of Fardhu prayers, saf(arrangement) of a Jama’ah in prayer consisting of male, female adults and children, the virtues of praying in congregation and the virtues of being the Muazzin for prayers. The complete recommended wirid and dua (supplications) after prayers. This course is open to male, female, young and adult participants. Tuesdays: 5 March 2019, 8pm – 9.30pm. Ustaz Ruknuddin is a graduate of Madrasah Wak Tanjong Al-Islamiah. 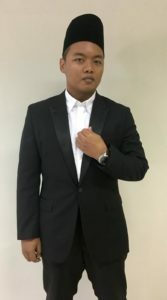 He later furthered his studies at Insaniah University College, Malaysia, and was awarded the Bachelor of Shariah (with honours), majoring in Islamic Law. Ustaz Ruknuddin now serves at Al-Mukminin Mosque as Mosque Religious Officer and has conducted many religious classes in English. Registration and Payment are to be made at Darul Arqam Bookshop. Seats are limited! Reserve your seats now!